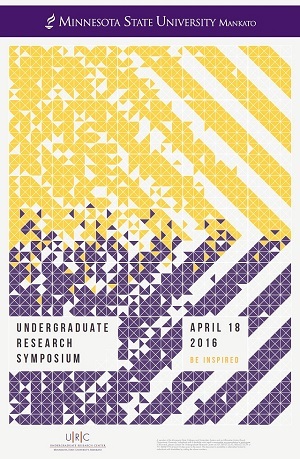 Complete Schedule of Events for the 18th Annual Undergraduate Research Symposium at Minnesota State University, Mankato. Undergraduate Research Center, Minnesota State University - Mankato. "2016 Abstract Booklet." Undergraduate Research Symposium, Mankato, MN, April 18, 2016.